MAC Best Teddy Lipglass ($17.50) is one of several new lipglosses that launched with the MAC In Monochrome Collection for Spring 2019. These shades all focused on best loved, popular MAC colors like Velvet Teddy, Candy Yum Yum, and Ruby Woo and extended the shades to other products such as eyeshadows, blushes, lipglosses, and more. Mind you, the colors aren’t spot on dupes for your favorite colors but more of a variation of them and meant to compliment those colors! For example, Best Teddy Lipglass is a bit deeper and richer compared to the lipstick shade but will work great on top of it as the shade compliments it very nice. Let’s take a look at MAC Best Teddy Lipglass below! MAC Best Teddy Lipglass actually renewed my love in MAC Lipglass. When did the formula get so better? Or is it the new applicator? I admit I’ve been a rather poor MAC fan and haven’t really purchased anything from years so, can someone confirm did they change the applicators or is that only on Best Teddy? The applicator seems longer and I was able to spread the color so much easier! And the formula seems so much better as well…! Like a glossy liquid lipstick! MAC’s Lipglass formula is one I have a love hate relationship with. It’s always such a champ in the wear department as you can get a solid five hours at least from some shades and that would be because it’s a tacky, stickier formula. Those tend to last longer in my opinion and one reason I sort of dislike this formula a little bit but have come to live with it and even like it due to the great wear. Best Teddy is a bit on the stickier side but not terribly bad and quite creamy with a hydrating feel on my drier lips and a very smooth, glossy finish with the pigmentation of a liquid lipstick! I was very pleased the applicator was a little less fluffy than the original Lipglass ones I’ve known and used and a tad bit longer as I felt this allowed me to pick up more color from the barrel. 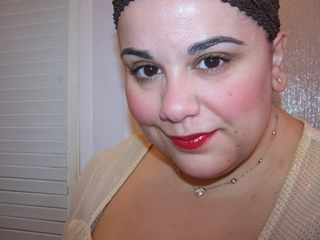 It had excellent pigment, great shine, and a very comfortable and long wear of five hours on my lips. I was pleased and it made me want to run out and buy other permanent shades to see if those changed as well. Speaking of permanent I’m a little unsure of the In Monochrome Collection shades are limited edition or permanent. I know shades like Ruby Woo and Velvet Teddy Lipstick are permanent but I’m unsure if MAC plans to extend that permanent status to other shades they launched in this collection. I hope they do otherwise I will need a back up of this lovely shade. MAC Best Teddy Lipglass is described as a deep tone beige which sort of makes no sense to me. To me beige is an off cream in my opinion….! MAC shade descriptions are always puzzling! To me this is dusky rose with brownish undertones. It’s quite a lovely shade and works fabulously on my skin tone and should work across many different tones. It’s just one of those universally flattering rose shades! MAC Best Teddy Lipglass is a keeper and gets a Muse Approval! MAC Best Teddy Lipglass is a new, possibly limited edition lipstick created to compliment MAC’s cult favorite Velvet Teddy Lipstick. This formula was creamy, slightly tacky, long-wearing, shiny, and quite pigmented. I was surprised as it felt like a liquid lipstick formula versus the traditional MAC Lipglass one I know and used before! Beauty Muse: Making MAC Lipglass Better! Gorgeous, warm dusky rose that should flatter many skin tones. A little tacky but beautifully creamy formula that wears long. Very pigmented for a lipgloss! Subtle vanilla fragrance and flavor. MAC Best Teddy Lipglass is an ideal pick for anyone who loves dusky, warm rose shades! The new products and special packaging lipsticks are limited edition. If you go on to the Mac website the shades that are LE have a tiny black triangle next to the shade name. They do that for all of their limited items. I call it the triangle of death lol. Great review! THANK YOU!!!!! I never even noticed that ;-D I need to stock up that means haha! <3! thanks glad you liked it! I love Mac lip glosses precisely because they are sticky! I want my gloss to stay on more than five minutes and none of the millions that I have tried on –including everyone’s favorite–Buxom, last OR are super shiny. Mac glosses are both. I’ve come to appreciate the stickiness too! It really does make it last quite long! i need this gloss! that color is so stunning on you! i, for so many years, kind of avoided lipgloss, as i didnt like the stickiness and the tendency for it to wear off quickly… and i just love a good ol’ lipstick honestly! but i have been bit by the lipgloss bug lately, especially during this winter, my lips are so dry and need all the moisture they can get! so a good gloss with good pigmentation is my little obsession lately. i recently got MAC’s ‘Lush’ gloss when I ‘Back to MAC’d’ a bunch of things. so far, i am loving it. its kind of a thick formula, but i just dab it instead of swiping, and i quite like that application technique so that i dont end up with the goopy-ness that thick lipglosses give to the lips.